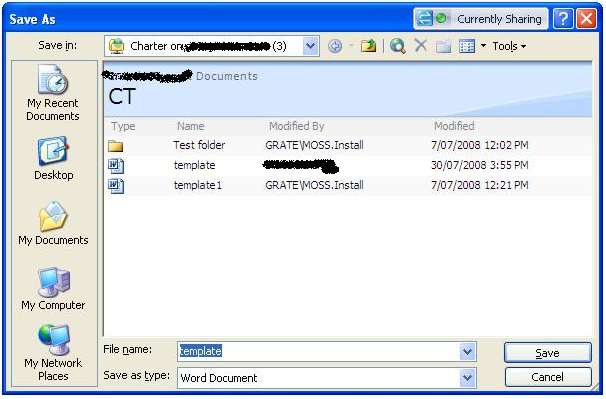 Was recently investigating a problem with SharePoint 2007 (MOSS) – when saving “new” documents in a document library. 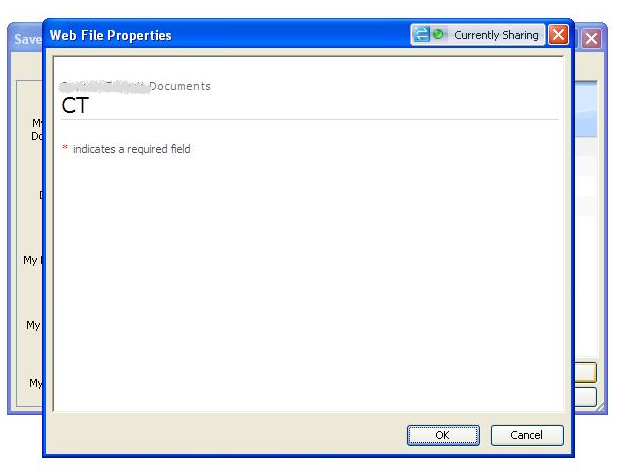 This is only a problem when using Word 2003 – relating to the completion of “meta data” (required fields). Enter words/text – eg. hello world ! …and here’s the problem – the next screen displays the “meta data” values to be entered. There should be a drop down to select the content type – as well as a bunch of meta data fields. So – can’t save the document, as the required fields aren’t filled in. A further quirk – this only happens when using multiple content types. If only one content type – then all is fine. Also – the server has been re-formatted, re-installed, etc – SharePoint environment re-built – and the problem is *STILL* happening ! 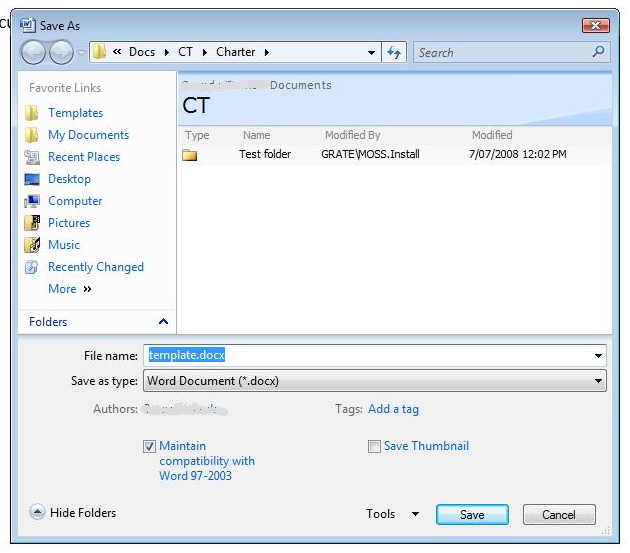 NOTE – when saving from Word 2007, the document information panel is used instead – there’s a message box shown, prompting the user to enter the required metadata. So – how to fix this ??!? Use FIDDLER to determine the page url being shown – within the dialog box from Microsoft Word. Copy the URL, and view within Internet Explorer. Can now use IE Dev Toolbar – to view the HTML, CSS and so forth. It turns out that there’s an expected field called fReadOnly – and the value is “missing” – should be either TRUE or FALSE. After some more poking & investigating, we determined that the “SCHEMA.XML” file buried within the SharePoint 12 Hive had been changed. 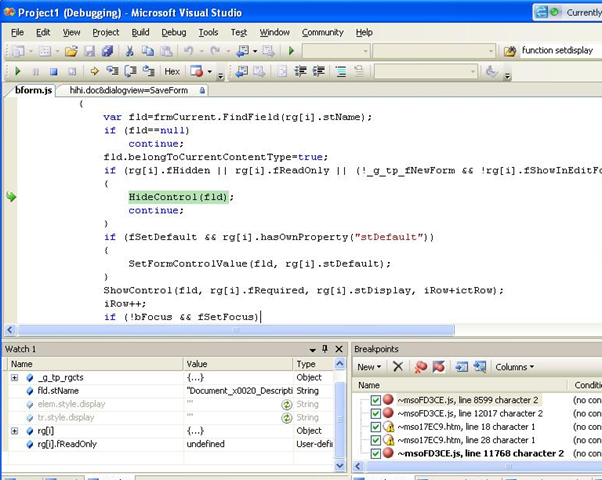 The folder contains a “SCHEMA.XML” and also “ORIGINAL_SCHEMA.XML”. So – why was the SCHEMA.XML file changed ? What’s different ? After some wondering, blame-storming, and hair pulling – it ended up that the reason the SCHEMA.XML file had been modified was due to a 3rd-party add-on being installed. The Outlook PowerTool (Echo Technology) is a free add-on that adds some extra checkboxes and options to the context menu’s within a Document Library. SharePoint delivers plenty of functionality out of the box that enhances the collaboration experience. The ability to Send Links of documents directly from the interface is now provided out of the box. However, this functionality is limited to only one file at a time. This FREE tool from echoTechnology will allow you to select multiple documents from your document library send links and document attachments via your default browser. Very cool – I’ve used it previously for a SharePoint 2003 installation – and it’s FREE – and very functional. But, probably no support, as it’s FREE. To be fair, I haven’t checked to see if there’s an updated version (yet) – or if it’s a KNOWN issue when using Word-2003 – but, the resolution was to re-instate the old file – which means meta-data can be entered. Luckily, was just a rename of XML files, and IISRESET. Unfortunately, this means that some of the functionality for the Outlook PowerTool doesn’t work as expected – will have to see if we can piece together a correct SCHEMA.XML file – and/or contact Echo to see if this is a known issue. Previous Article Successful SharePoint projects ?